Reimage - Why you need to Download? Reimage offers System Guards, real-time protection against malware, that will inform you about an infection the moment it occurs. Registry protection and Process control will help you monitor various processes, helping you decide whether they should be allowed to remain, or if you should terminate them. System Guards will help you prevent malicious parties from taking over your computer, and will ensure you are the only one with control over your device. There may be cases where Reimage will not be able to help you with your issues, or it could be blocked by the malware, if you are dealing with a serious one. In situations like that, you can turn to the HelpDesk feature. Professional technicians will look into your problem and come up with a solution so that you can go back to normal computer use as soon as possible. One of the most important things to look into when picking anti-malware software is what kind of protection against malware it provides. Some can only protect from minor threats, such as adware, while others focus on more serious infections. Reimage will be able to detect all kinds of malware, from adware/browser hijacker to Trojans and keyloggers, so whichever malware has invaded your computer, this security tool will be able to help you. The program is able to detect threats that other security tools may fail to. In addition, Reimage will backup your files before proceeding to eliminate the infection. Your files will be safe, and the program will be able to get rid of the infection without causing damage to them, no matter how serious the infection is. What is Reimage Repair (Reimage Plus)? 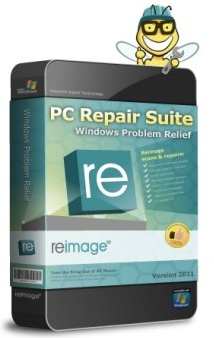 Reimage PC Repair is a tool for repairing the Windows OS. Once you get Reimage pc repair license key, the tool should boost the speed of your computer, eliminate existing faulty files, fix the system registry, and increase your computer’s stability. 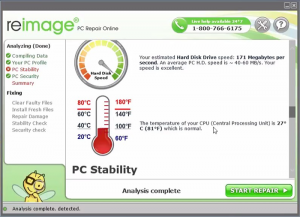 At first glance, Reimage PC Repair looks like a trustworthy PC optimizer that can cause no harm for the system. Reimage Repair is not a serious threat and it can be easily erased through Control Panel. Thus, you do not have to worry about that. It will not be difficult to implement the Reimage Plus removal. 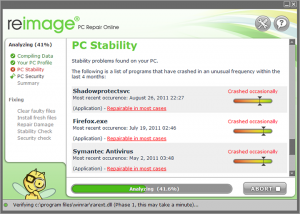 However, you most probably will not need to take care of Reimage PC Repair elimination. In order to learn more about this tool, you should read our Reimage PC Repair review bellow. It will only take a couple of minutes of your precious time to learn about Reimage. Why should I Download Reimage PC Repair into my computer’s system? By downloading Reimage PC Repair, you will get a closer look to your computer’s hardware configuration. In addition to that, Reimage PC Repair will get the information about your virtual machine’s hard drive capacity and memory manage. This tool makes it easy for any computer user to understand about his machine’s system. Also, Reimage PC Repair comes with an easy to understand guide that will provide even more information on how to fix your computer. This helps you to secure your computer’s system from serious computer issues easily and without spending a lot of money on it. Furthermore, your files will be safe with this tool. Reimage PC Repair crack backup is capable of restoring all of your files. How does Reimage Repair act? Reimage PC Repair will scan your system once it enters the computer’s system. All of this is done in order to show the best search results and get rid of your computer issues. The application is supposed to optimize your virtual machine and make sure to fix your PC problems. By getting a reimage pc repair full download, your computer will be cleaned from the unwanted files. More than that, the tool is designed to indicate the real PC problems. With the help Reimage PC Repair, computer users do not have to worry about their PCs security. Reimage PC Repair tool will make sure that your computer works in a way it is supposed to work. How is Reimage Online distributed? According to the official website of Reimage Repair, you can download reimage pc repair easily and quickly. This one download can help you to avoid expensive computer fixing companies. As our experience shows, there are many potentially unwanted programs and much more serious threats that might enter your system without permission. As our experience shows, there are many potentially unwanted programs and much more serious threats that might enter your system without permission. Reimage PC Repair is a program that can help you find and eliminate all the irritating applications. How can I remove Reimage Repair from my computer? However, if you decide that Reimage Plus is not needed for your computer, you can get rid of the application via Control Panel. You will not have to implement a malware removal tool in order to do so. Nevertheless, a security tool can protect your computer from other applications and also erase Reimage Repair automatically. In addition, applications that can be deleted in such an easy and quick way are usually trustworthy. Also, Reimage PC Repair is simply too useful. The tool is capable to repair, scan and optimize your operating system. * Reimage scanner, published on this site, is intended to be used only as a detection tool. More info on Reimage System Requirements. To use the removal functionality, you will need to purchase the full version of Reimage. If you wish to uninstall Reimage, click here. Reimage has a very simple interface, which allows even novice users use it to its full capabilities. Users will be able to quickly get used to the program, which is an important feature for any anti-malware software. And you will have to do every little, you can simply allow Reimage to do everything for you. This makes getting rid of malware much easier. If the program is unable to deal with the problem you are having, you can always use the HelpDesk feature. If a custom fix is needed, highly qualified technicians would remotely look into the issue and provide a solution. And there would be no need to bring your computer anywhere for physical access, everything can be done remotely. Iv’e got all of them installed on my pc & it work’s Great. i have never had anything bad happen yet. i have three different virus one’s installed, it’s better three then none. & my pc 1,000% fast speed, & 188 update’s in windows xp. Thank’s U Rock.